Montana currently has three HCBS 1915(c) waivers that serve children that all waive parent income. One waiver, the Autism Waiver, is being phased out and will end in 2019, and the Bridge waiver for mental health has been discontinued, with services transferred to a state-based program. See Montana's HCBS Waiver page or their Long Term Care page for more information on Montana's programs. 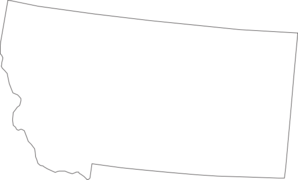 Montana also has two adult-only waivers, HCB Waiver for Adults with Severe Disabling Mental Illness, and Supports for Community Work and Living. Montana has indicated that this waiver will end at its expiration in 2019. No new children are being accepted into the program. Description from medicaid.gov: Provides children's autism training, respite, waiver funded children's case management, adaptive equipment/environmental mods, OT, PT, speech therapy, transportation, individual goods and services, program design & monitoring for children with autism, ages 1-4. How to Apply: Not taking new applications. Waiting List: Montana has 117 children and 1130 people with developmental disabilities on its waiting list. Description from medicaid.gov: Provides day supports and activities, homemaker, residential habilitation, respite, supported employment - follow along support, nutritionist services, occupational therapy, physical therapy, private duty nursing, speech therapy, supports brokerage, adult foster support, assisted living, behavioral support services, caregiver training and support, community transition services, companion services, environmental modifications, individual goods and services, meals, personal care, personal emergency response system (PERS), personal supports, psychological evaluation, counseling and consultation services, remote monitoring equipment, remote monitoring, retirement services, specialized medical equipment and supplies, supported employment - co-worker support, supported employment - individual employment support, supported employment - small group employment support, transportation for individuals with IDD/DD, ages 0 - no max age. How to Apply: Contact the nearest DDP Regional Office. Description from medicaid.gov: Provides adult day health, case management, community first choice/personal assistance and specially trained attendant care, day habilitation, homemaker, prevocational services, residential habilitation, respite, supported employment, audiology, respiratory therapy, financial management services, community supports, community transition, consultative clinical and therapeutic services, consumer goods and services, dietetic services, environmental accessibility adaptations, family training and support, health and wellness, homemaker chore, non-medical transportation, nutrition, occupational therapy, pain and symptom management, personal emergency response systems, physical therapy, post-acute rehabilitation services, private duty nursing, senior companion, specialized child care for medically fragile children, specialized medical equipment and supplies, speech therapy, supported living, and vehicle modifications for aged individuals 65-no max age, and individuals with physical disabilities and other disabilities ages 0 – 64. How to Apply: Contact the Mountain Pacific Quality Health Foundation at 1-800-219-7035.